Hello, IÂ´ve discovered today that my pumpkinÂ´s vines have this insect and has damaged my plant. Lucky the fruit is growing well I think. Could somebody tellme how do I repare or cure because the damage has done at this time. I don't want to die my plant if possible. I am a beginner and I want to learn from experts people. There's not much you can do now, esp. looking at the shredded stem in the photo. Some say you can inject the stems with BT, but there's usually more than one, and more will be coming. I have had SVB since back in the eighties, and have tried every trick I've ever read about, but nothing worked, except for last season, when I totally wrapped an earthbox with agrobon, and the zucchini was the first in all these years w/o SVB! For winter squash, I just grow moschata varieties. Squash vine borers (SVB's) are one of the worst pests in the garden. Lots of things chew on leaves and we can live with that, but the SVB's can quickly kill a large flourishing plant. If you scroll down below the posts, you will find a section called Similar Topics with a list of a number of previous threads about them. If you read in those, you will find lots of suggestions. 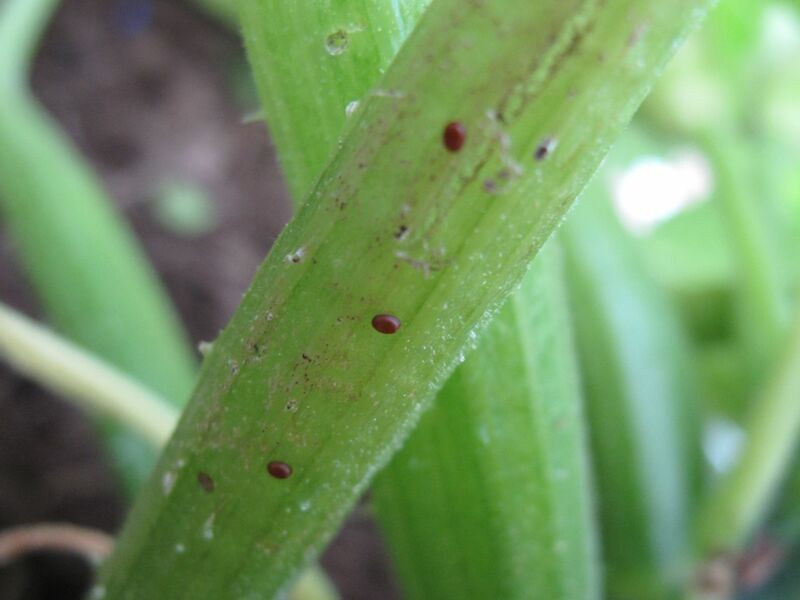 IF you find them right away, as soon as the larvae hatch out and crawl inside the stem of your plant, you may be able to dig them out with a knife (just make a little slit) and save your plant for the time being. But what they do is start chewing out the inside of the stem. This cuts the circulation channels by which the plant gets water and nutrients from the soil. Once those are gone, there is nothing you can do to repair them or save your plant. they are very small, laid singly at the base of the stem where the larvae that hatch out will bore in. You can inject the stems with Bt or beneficial nematodes, both of which are harmless to anything but the pests. But honestly, where I was before, I just gave up on trying to grow zucchini. You can grow butternut squash, which don't have the hollow stems and are much more resistant to the SVB. Thanks a lot for answering my topic, I really appreciate them. I wondering if there is a simply way to protect the sane plant I still have in the area. I wouldnÂ´t like to happen again. Please some advices will be thankful. Fortunately for you, they are also not squash bugs. I totally creeped myself out looking at lots of bug and beetle pictures and could not find yours. Hopefully someone else will come along who recognizes it. But in answer to your question, if there were a simple way to protect your other plants, many of us would not have quit growing zucchini. Monitor very closely, keep wiping the stems down to get rid of eggs, watch for any holes in the stem or little piles of sawdusty looking stuff around the stem (that would be their excrement and means there is already a larva in the stem and you need to do surgery to get rid of it). Controlling the SVB is all about prevention. I wouldn't even recommend row cover, because your plants have probably already been visited, so you would just be sealing your bugs in with your plants. And there is nothing you can spray (even poison), because as soon as the tiny larva hatches it bores in where it is protected. Last year I spread a thin layer of tangle foot on the base of my yellow summer squash and zucchini plants. I had zero problems with the vine borer and the population of squash bugs was much reduced and even they looked somewhat confused. I use a weed mat to keep the weeds at bay around the squash and clean any grass or small weeds or small squash leaves away before I apply the tangle foot. The first few inches of the stem next to the soil is all you need to do. Hi Jiminct and welcome to the Forum. If there is an answer to the scourge of squash vine borers, a lot of gardeners will be sending up fireworks. I think instead of just tagging a long on an old thread, you should make a new post about this in this Insect Control section (viewforum.php?f=39) with something like "organic control of squash vine borers" as the title. You should get like a million views!! What I would hope for is to get a number of other people to try your idea and report back. Where do you get your tangle foot stuff? If this really works, you should publish it! (Somewhere besides here I mean). Incidentally I am enjoying the image of a squash bug looking confused! I am in my first growing season in a new location and I don't know for sure yet if we have vine borers (though I would be surprised if not), but I know that we have lots of squash bugs or stink bugs (I'm still not real sure of the difference) that keep trying to get in the house. I've recently read that commercial squash growers don't have problems with SVB. Does this suggest that these growers are using systemic insecticides to control this pest? I wonder - - this is pretty scary - - If they are using systemics are store bought zucchini and yellow squash even safe for human consumption? I certainly don't have any very good suggestions for positive SVB control but I am trying a few things that might help. I remove infested plants and grind them up before the borers have a chance to pupate in the soil. Generally when the mature borers are finished doing their damage they burrow into the soil and form a redish brown pupa that then hatches into the adult moth when conditions are right. Here in central Texas the SVB has at least 2 broods each season - - one in the spring and one later in the fall. Aggressive mechanical tilling of the soil before planting can also help destroy some pupae before the adults have a chance to hatch out. Learn to identify the moth - - they are red and black and actually kind of pretty - - quite timid and fast flying - - as far as I know they fly only during the day. I keep some wasp control spray in a can handy - - when I happen to spot a moth a quick squirt is amazingly effective. I figure for every moth I destroy I am saving from a lot of potential eggs that could later hatch. Unfortunately I don't have the time to guard my garden very effectively but if I spot a moth flying I make sure it is a dead player . Another control I tried in the spring is putting a small drop of acetone directly on any eggs these pests have been able to lay. This is very laborious but has helped stop the eggs from hatching. My next step will be to learn about the product Tanglefoot and try it out. This is why I don't buy squash, unless it is organic. I know how bad SVB can be, and that systemic insecticides are used against them commercially. They supposedly don't use them within a certain # of days from harvest, but this doesn't totally eliminate the chemicals, just brings the levels down to "acceptible" limits. Squash vine borers or something else?